This study of affluent U.S. homeowners and kitchen designers who do high-end kitchens explores how affluent consumers differ from their contemporaries about their attitudes and design preferences for their kitchens. This study identifies which features are most important relative to other features when it comes to cabinetry, countertops, sinks, faucets, ranges, dishwashers, refrigeration, and ventilation. This 44-page report is based on 1,008 U.S. homeowners. 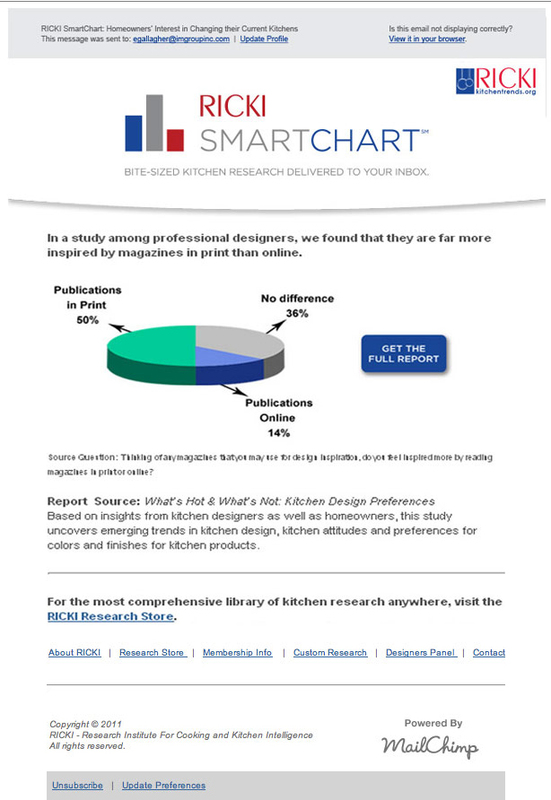 Today's leading kitchen brands rely on RICKI research and trend insights that inform smarter product development and market positioning. You'll be in good company when you join RICKI.